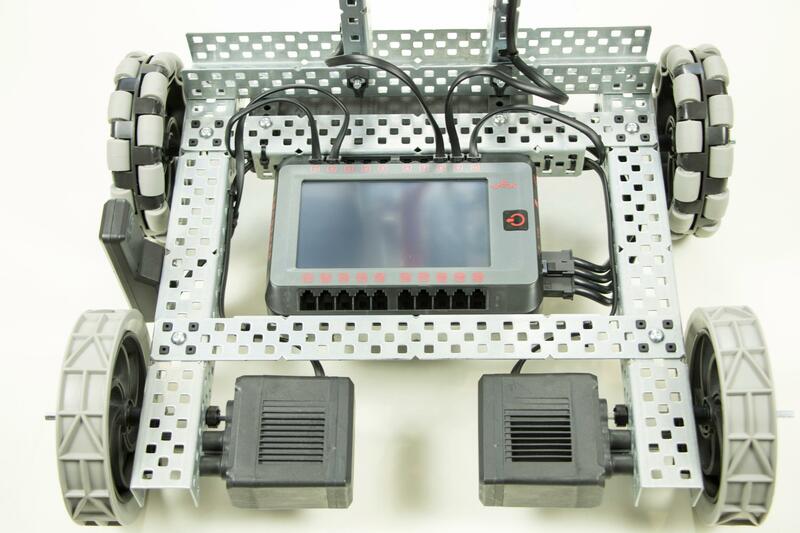 Hold the V5 Robot Brain where you want it to be mounted on your chassis. Use the Connector Pins to mount the V5 Robot Brain to the chassis using the holes on the sides of the brain. NOTE: The V5 Robot Brain can also be mounted using the included flanges, or threaded holes on the back of the brain. 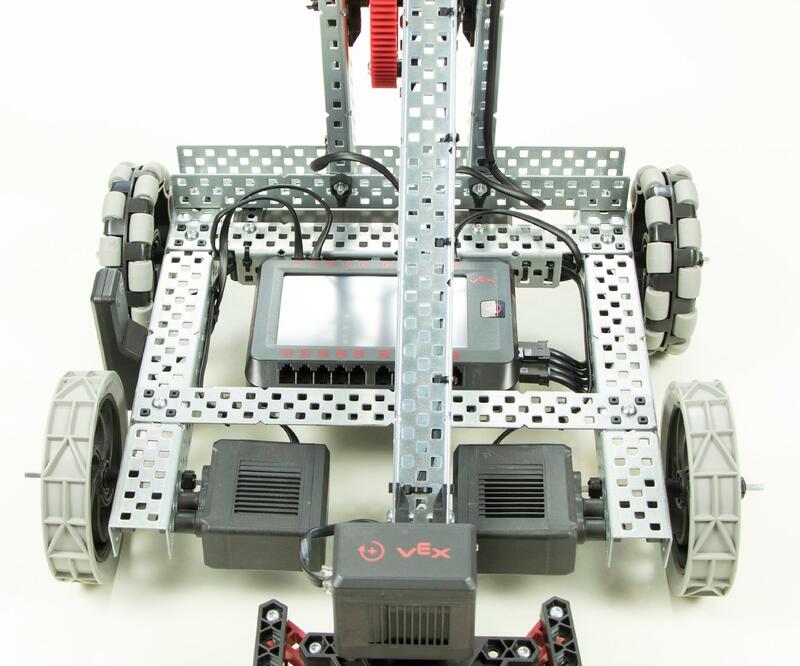 Connect the V5 Robot Battery by plugging it into the battery port. For more detailed instructions on mounting and wiring the brain, see the V5 Clawbot Build Instructions. 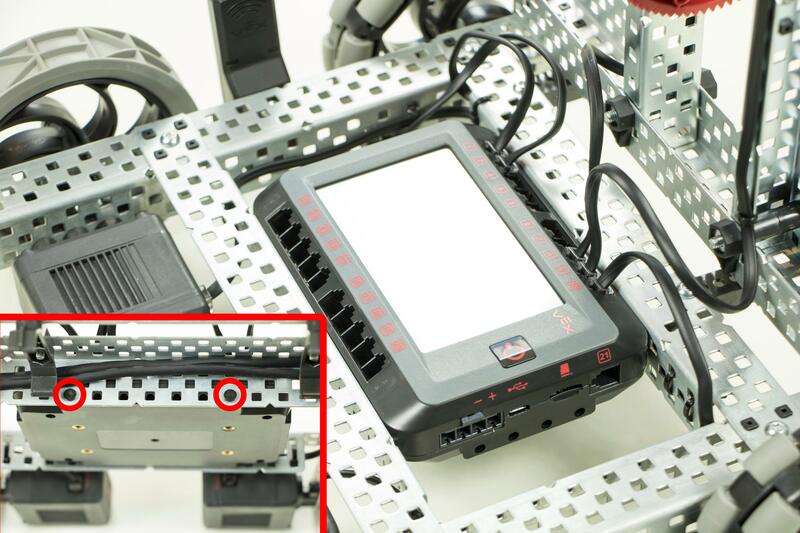 Connect your devices to the proper ports on the V5 Robot Brain. 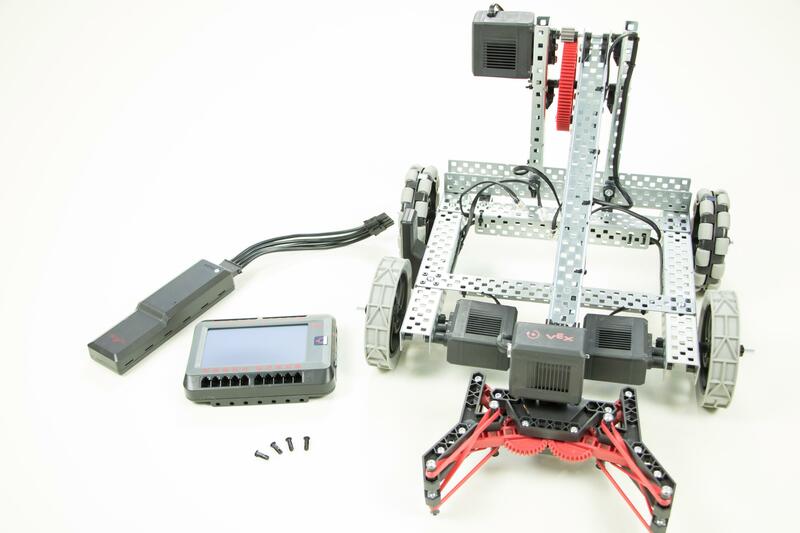 When building a V5 Clawbot, see the V5 Clawbot Build Instructions for proper port configurations.